ATTITUDE believes that everything that comes into contact with your baby’s skin should be as gentle, pure and natural as possible. That’s why they’ve developed the Sensitive Skin Solution for Baby product line, which includes the Natural Baby Wipes. Free of worrisome chemical contaminants that can be absorbed by the skin, they gently clean and soothe skin. 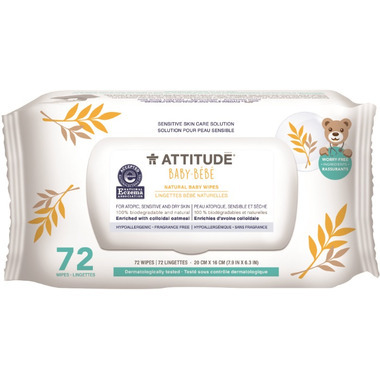 Enriched with soothing oatmeal, these Natural Baby Wipes are non-irritating and gently clean and soothe skin thanks to their oat-based cleaning formula. 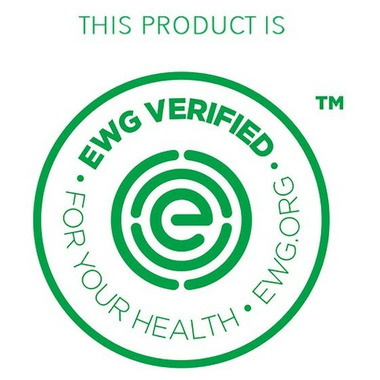 These wipes are made of 100% cellulose, a 100% biodegradable material derived from renewable sources. We had been battling a bum rash then switched to these wipes and it finally cleared up! Worth the price for a happy bum. One star off due to the difficulty in getting out of package. I purchased these because they were rated number one in EWG website, however, I'm not happy with how difficult they are to get out of the package and when you od manage to pull them out, they come out in twos and threes when you really only need one wipe. I think the issue is also that they're too thin. The scent is quite subtle so it doesn't bother me. I don't like the scent and the wipes are too thin and hard to get out of the packaging. A little on the pricy side but great and no problems with sensitive skin. Doesn't seem overly soapy or too thin.